I'm really, really, really feeling these R13 jeans. They're kind of the perfect mix of slouchy and skinny. Get theme here. LOVE R13 anything really. 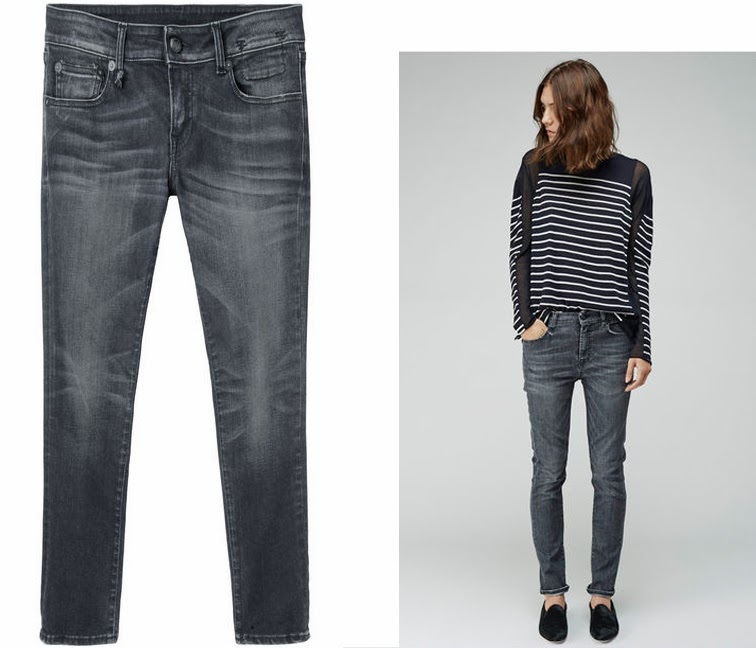 except it's kind of pricey so not really in my reality...but the acne grey denim does the trick too! save for the super cool loose ish effect of these, which they don't have. by the by, you'd look insane in these. I've been looking for jeans like these! perfect!